If you want a better understanding of the system, we have some helpful information on the different sections of your Student Zone. When you log in to Education Perfect, you'll arrive at your Student Zone. From here you will be able to see your pinned subjects. To change which subjects you have pinned, click Add or remove subjects. Please note that you will only be able to see subjects that your classes are licensed for. This means that if you are only enrolled into a Languages class, you will not necessarily be able to view our Maths content. You will also be able to see any recommended tasks. 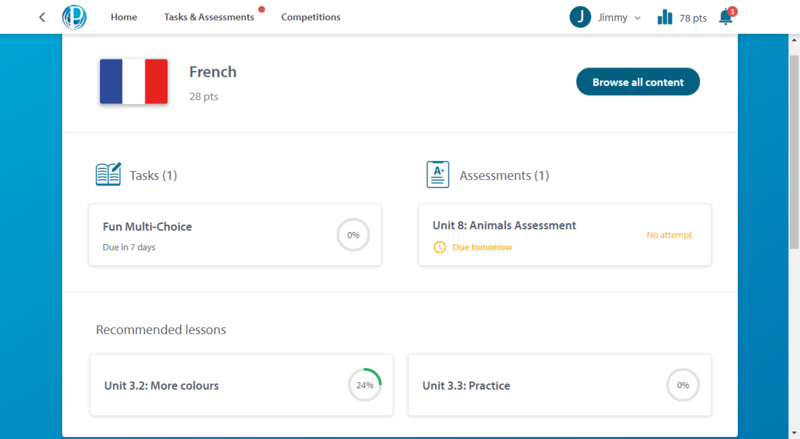 If you click on one of your subjects you will be able to see any task or assessments you have been assigned for that subject as well as any recommended lessons. If you would like to browse through all the content that we have available, click Browse all content. If you would like to edit or create your own list to study from, you can do so by following the instructions in our help guide here. Please note that you will not be able to access any folders or lessons that have a lock attached to them. This is because your teacher has chosen to hide this content from you. If you would like to access this content, please get in touch with your teacher. From the Dashboard, you will also be able to scroll down and see your points and scoreboard. You are able to filter the scoreboard by class, school, country, and global. You are also able to switch between your yearly score and your monthly score. 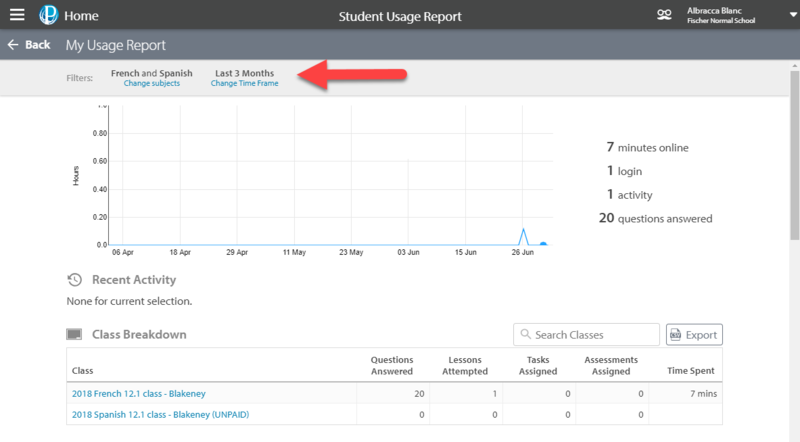 You can use the Usage Report feature to look at the work you've done in the past. Click on your name at the top of the page and select My Usage Report. You will be able to view a breakdown of your login activity, your classes, subjects, tasks, and assessments. You can refine the details of what you are looking at by using the filters at the top of the page. Here you will be able to pick which subjects you are viewing and the time frame you would like to focus on.